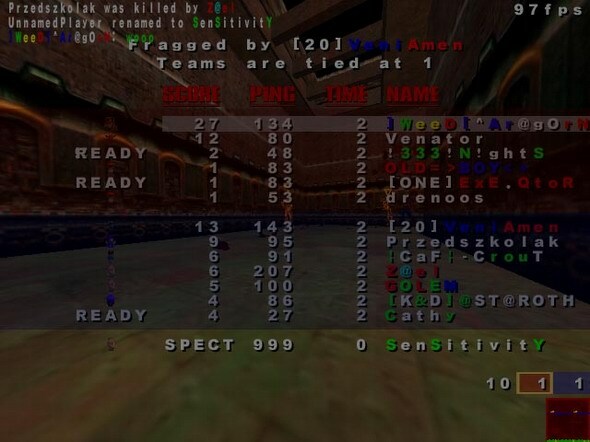 Great record for a great ping! n1 to aragorn with his 27 in 2 minutes!! Posted on 07 February 2005 at 16:35:07 by Anonym. Posted on 17 February 2005 at 05:59:35 by p0isoN. Posted on 03 March 2005 at 23:27:37 by Aragorn. Posted on 13 April 2006 at 03:18:10 by Anonym. Posted on 23 September 2010 at 08:24:20 by Anonym. Posted on 23 November 2017 at 08:53:28 by Anonym. Posted on 27 November 2017 at 11:12:39 by Anonym. Posted on 07 January 2018 at 09:31:00 by Anonym. Posted on 23 January 2018 at 07:35:38 by Anonym. Posted on 11 April 2018 at 12:56:49 by Anonym. Posted on 17 September 2018 at 13:32:00 by Anonym. Posted on 17 October 2018 at 05:52:55 by Anonym. Posted on 10 December 2018 at 07:11:22 by Anonym.